There's a glitch being reported on the BBC Blog for those who have downloaded the radio update on their Microsoft Xbox360. 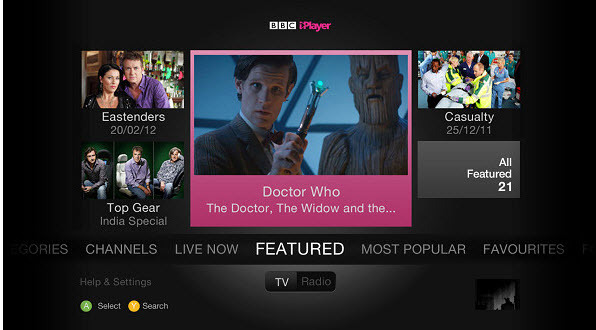 Today's update gives Xbox owners in the UK access to the rich library of on-demand radio programmes inside the BBC iPlayer. But, for the moment at least, it seems to switch off access to standard definition TV content. BBC know about it and are working on a solution. BBC HD content is unaffected. This just in. Read your newspaper over the phone. It was these bulletin boards that sparked BASICODE computer experiments 30 years ago. They started on a programme called Hobbyscoop. I worked on the UK launch with a BBC Radio 4 programme called the Chip Shop. Then we also worked on an improved version called BASICODE-2. I see that the German government has renewed its campaign - Germany, Land of Ideas. Some of the early productions were rather dry. But someone has pumped new energy into the project. To a point where it's become rather good. Berlin is certainly moving much further ahead that many cities I know. It has the advantage of plenty of cheap space - and a growing international community of creatives. Interesting press release from SES, the company I grew up calling Astra. I discovered this interesting release on their website. 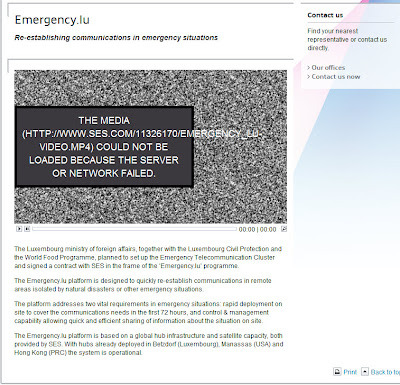 The Luxembourg ministry of foreign affairs, together with the Luxembourg Civil Protection and the World Food Programme, planned to set up the Emergency Telecommunication Cluster and signed a contract with SES in the frame of the ‘Emergency.lu’ programme. The Emergency.lu platform is designed to quickly re-establish communications in remote areas isolated by natural disasters or other emergency situations. The platform addresses two vital requirements in emergency situations: rapid deployment on site to cover the communications needs in the first 72 hours, and control & management capability allowing quick and efficient sharing of information about the situation on site. 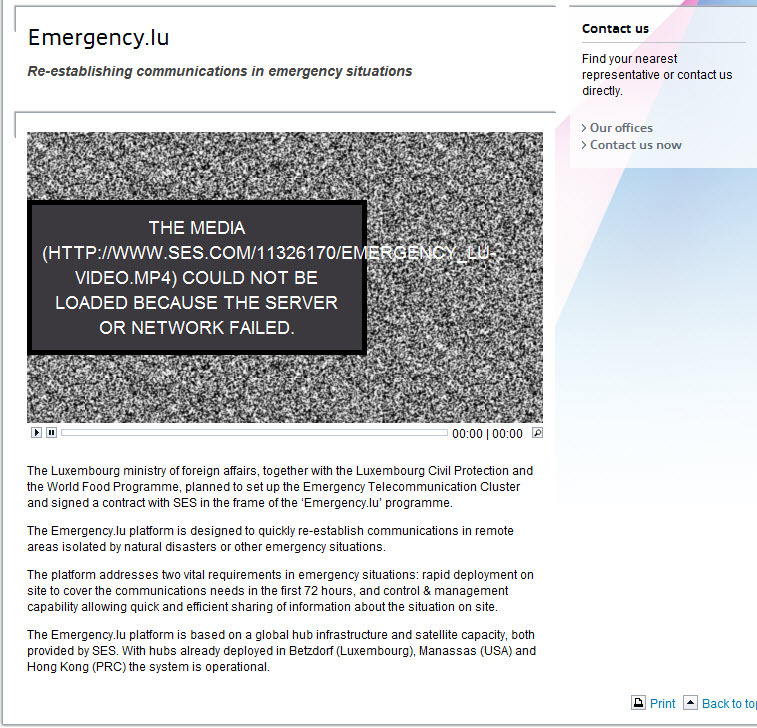 The Emergency.lu platform is based on a global hub infrastructure and satellite capacity, both provided by SES. 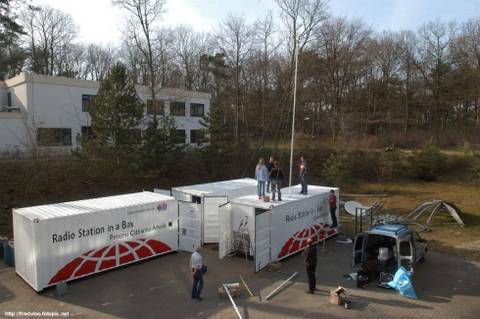 With hubs already deployed in Betzdorf (Luxembourg), Manassas (USA) and Hong Kong (PRC) the system is operational. Unfortunately, the video explaining it all is currently broken. Hope they fix it fast. Have told them. This must be the 2012 Old Spice Ad. But will it sell more aftershave? Top ten things that would-be diplomats should study. Excellent list by Stephen M Walt. Things to study if you are planning to understand foreign politics.....my highlights from the FP article. I would add that a year abroad is probably essential, preferably outside your own continent or language region. Eyeopening. 1. History. Trying to understand international affairs without knowing history is like trying to cook without knowing the difference between flour and flounder. 2. Statistics. Most high schoolers have to learn a certain amount of math, but unless you're going into a technical field, a lot of it won't be directly relevant to a career in international affairs. But statistics is part of the language of policy discourse. 3. Foreign Language. If you grew up outside the United States and are headed for college, you probably already speak more than one language. If you're an American, alas, you probably don't. 4. Economics. Economists aren't the wizards they think they are (see under: 1929, 2007-08), but you can't understand world affairs these days if you don't have a basic grasp of the key principles of international trade and finance and some idea how the world economy actually works. 5. International Law. You might think that a realist like me would dismiss international law completely, but I took a course in the subject as an undergraduate and have always been grateful that I did. 7. Get some culture. Education in international affairs tends toward the technocratic, as the previous items on this list suggest. 8. Learn to communicate. Based on some of the graduate students I see, I'm not sure this is something most colleges teach anymore. But not matter what path you end up taking in life, being able to write clearly, quickly, and without enormous effort is a huge advantage. While you're at it, hone your ability to speak effectively and persuasively. Regardless of what sort of career you pursue, being able to present your ideas orally will be very valuable. Formal training and activities like debate can enhance these abilities, but mostly they come from practice. Repetition also helps overcome stage fright, and being relaxed while you're speaking is easily worth 10 or 20 IQ points. 9. What about science? Most of us had to take a lot of science in high school, and some of us continued to do so in college. Although in-depth knowledge of physics, chemistry, biology, computer science, etc., is not directly relevant to many aspects of international affairs, it is powerfully linked to a host of important political phenomena. How can one understand cyber-security, climate change, global pandemics, economic development, and a host of other issues without understanding the scientific knowledge that lies at their core? 10. Find your ethical foundation. Universities teach classes on ethics, but apart from favoring free speech and opposing academic fraud, they don't endorse any particular ethical stance. So don't expect your college to teach you what is right or moral. Nonetheless, if you haven't figured these things out for yourself yet, college is a good time to get cracking on it. You know the situation. You're listening to a song on the radio and you wonder who's singing it or who the performer is. Well, thanks to audio fingerprinting, there's an app for that. Hold up the phone to the speaker and the application gives you the answer. It's the app to identify something you hear but didn't know. Of course that is not news. Shazam has been around in some form or other since 2002. The UK based company claims that 2 million people use the app every week. I've personally found it extremely useful. Last year, WIRED magazine carried the news that the company had pivoted to help US Commercial broadcasters. "More than 70 percent of US households watching TV are using Facebook or browsing the web at the same time," says Shazam CEO Andrew Fisher. "Broadcasters want to take advantage of this and connect the two screens." So "Shazam for TV" uses the app to let viewers interact with commercials and TV shows when a Shazam thumbnail logo appears on the screen. Levi's Dockers launched a "Shazamable" TV commercial during last year's premium Super Bowl slots, allowing viewers with the app to receive extra content and buy Levi's clothes. Shazam also worked with the NBC series Being Human and on a $20 million (£12 million) campaign for fashion brand Old Navy, again in the US. TV ads for the movie Transformers 3 are also "Shazamable", with free downloads of Linkin Park tracks and cinema tickets up for grabs. Now it looks like the Media Lab at Harvard has taken the whole concept one stage further. It's a variation on audio fingerprinting, not for music but for the US elections. PAC stands for Political Action Committee. So welcome the SuperPAC. Of course the public isn't interested in the history of the app. Just how to use it. At the moment it is just for the iPhone (though I'm sure it must work on the iPad). They tell me they are not tracking radio ads, only TV. Have asked them why. Love to see how the public "wings it" infront of the camera. Wish we had something similar in the Netherlands for the upcoming elections in September. But that's not going to happen. Thanks to Richard Kastelein of Appmarket.tv and Marie-Jose Montpetit of MIT (her students built this start-up). Enjoyed re-listening to this Media Network programme recorded in October 1997. Pete Myers was not only a famous presenter and producer at Radio Netherlands. He had a previous life in London being the main anchor for Good Morning Africa on the BBC External Services. 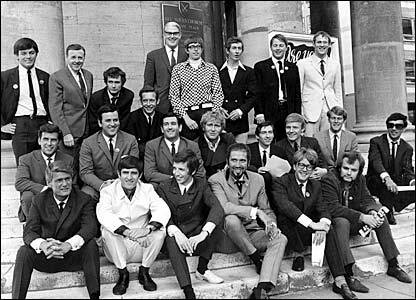 But he also presented evening talk programmes on the new Radio 1 when it launched in October 1967. In 1997, he went back to London to the reunion and recalls what life was like at the Beeb. In the famous line-up photo, he's the one further to the right sitting behind John Peel. He always wore sun-glasses for this type of photo. I believe this one was made on the steps of All Souls Church next to broadcasting house. Golly, nearly fifteen years have passed since we made this. So what happens if you're a radio station broadcasting to a country and your local FM relays get yanked for political reasons or because you can't afford the carriage fees. 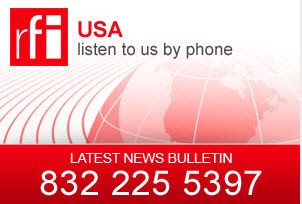 You respond by offering a news bulletin service via the phone. Everyone has a phone right? True. There are more phones than radios out there. But what doesn't work is putting radio on the phone. Mali1 is a case in point. It's a phone service set up by the French for Africa service of US government broadcaster Voice of America because it can't get an FM signal into Mali at the moment. 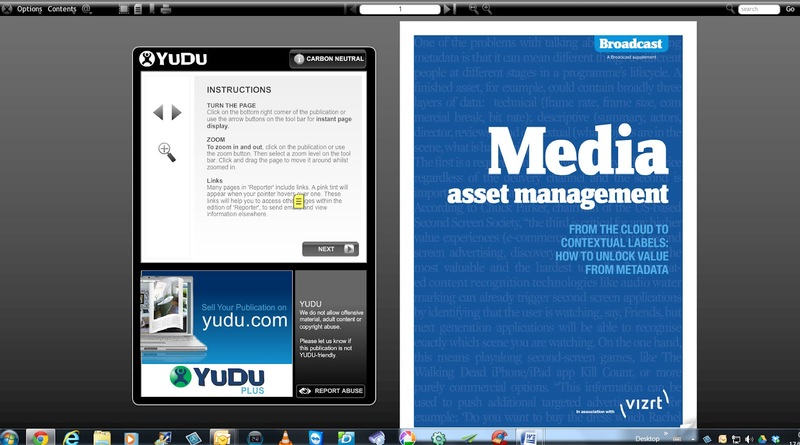 They tell people to go to the website where they can stream or download the news bulletin. That means you need a phone with web access to find it. To be fair, they have recently changed the website to make it much easier to navigate on a small screen than a couple of weeks back. 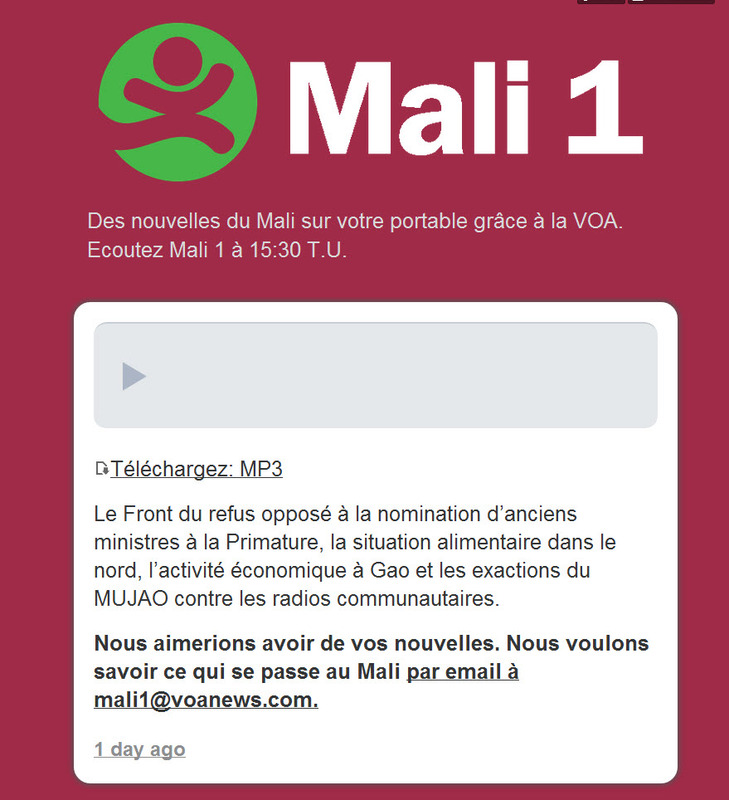 I don't understand why they tell people to listen to Mali 1 at 1530 UTC. They mean the bulletin is refreshed at 1530 daily. Mali is on UTC, so I'd just say Mali time. My beef is with the audio. Listeners are paying for the call in some way (either bandwidth or time) so why bother to put a jingle in the bulletin? And the correspondents reports from Mali by mobile phone need to be revoiced. Once they have been compressed again down to such a small bandwidth they are often unintelligible. And I'd normalise the audio file, rather like putting Optimod on an FM signal. The examples I listened to were difficult to understand under my ideal listening conditions, let alone in troubled Mali. This kind of service is clearly a medium of last resort. So how does that explain Radio France Internationale's phone service in the USA? I'm sure that nobody needs to call that number to pay to hear someone reading news over the phone. 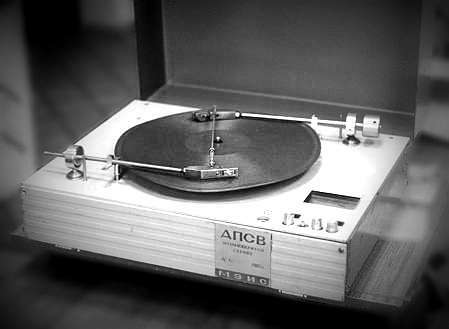 Reminds me of Dial-a-Disc in the UK in the 1960's. You dialled 160 and a song would play repeatedly. Was more useful later when the music was replaced with cricket scores. What on Earth is McKinsey and Forbes talking about? I wonder what sort of input FP magazine has had in this list? I'm guessing none. To me this looks like a list of megacities which you should avoid if you want to do anything creative. And it's all based on financial growth. Are many of these cities "livable" - in other words are there dynamic conversations, exhibitions, discussions going on there? In Paris, Berlin, London, New York, Moscow, definitely. But Wuhan, Shenyang and Riyadh? 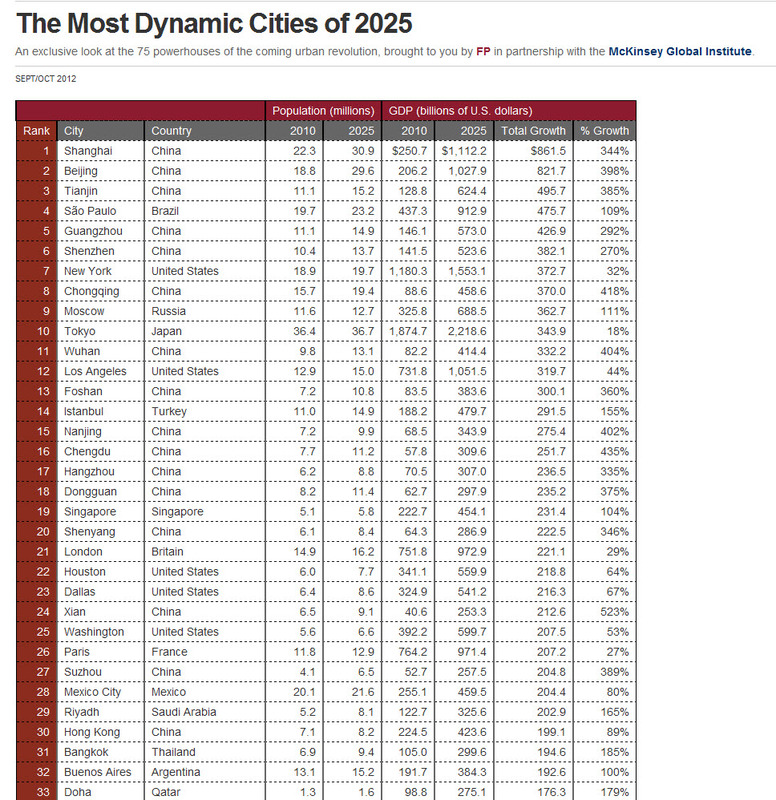 If this is the definition of Dynamic, then I want to avoid being part of the "dynamic" cities at all costs. What a horrible existence. Enjoyed Elisabeth Murdoch's speech at the Edinburgh TV festival. Clearly very difficult for her to write. But she was crystal clear - "Profit without Purpose is a recipe for disaster". I heard more of the philosophy of her grandmother, after whom she is named, rather than father Rupert. Guardian had excellent coverage of the points made at the festival. Had a reason to look through some radio archives of past programmes that I made. Discovered some which we did on location in Hong Kong just before it was handed back to China. The way the British Forces Broadcasting Service left Hong Kong was rather special. Want to join me? 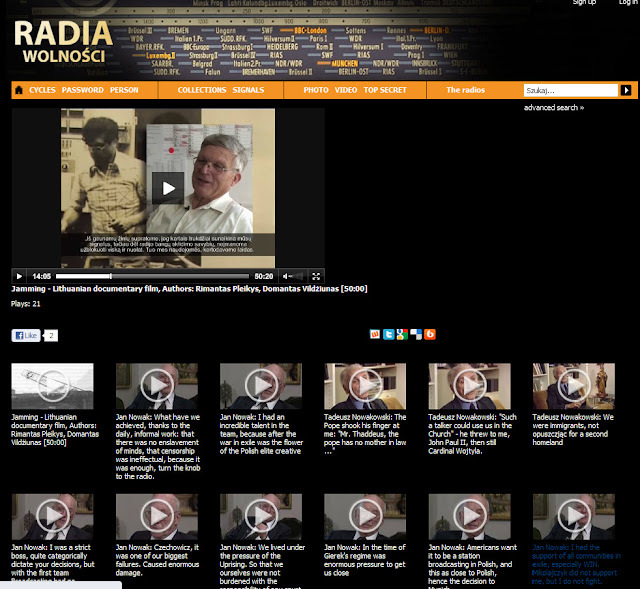 Start with the half-hour Media Network safari recorded in November 1996. 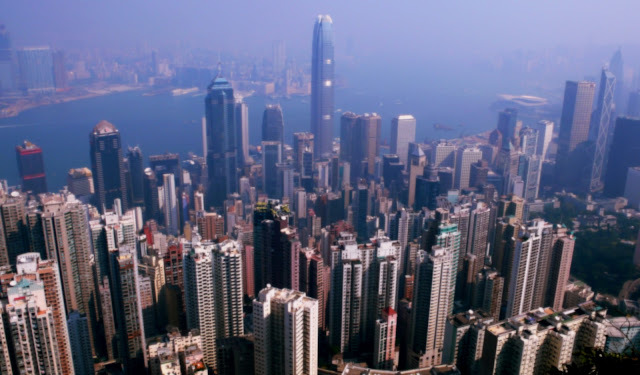 In truth, the expeditions to the top of Victoria Peak, the electronics districts and the BBC relay station (which was in the process of being dismantled) was far more interesting than the conferences I was sent to cover. And there's a follow-up call at the end of June 1997 when we phoned to check the final plans of BFBS. 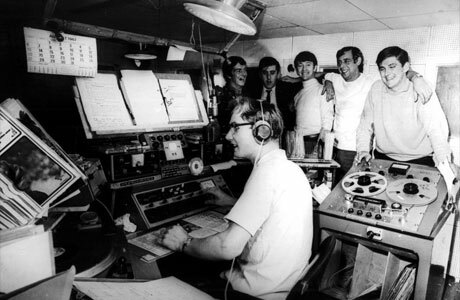 At a time when radio, especially international radio, is more concerned with closedowns rather than sign-ons, it reminded me of a special documentary about offshore radio. Actually, I thought I'd lost it. Turned out I was looking in the wrong folder in an audio archive. 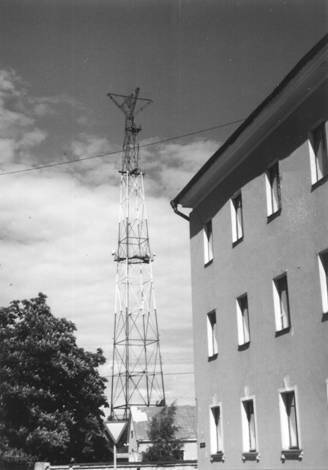 This programme was put together to capture a different set of stories about offshore broadcasting from the North Sea in the period 1964-1967. 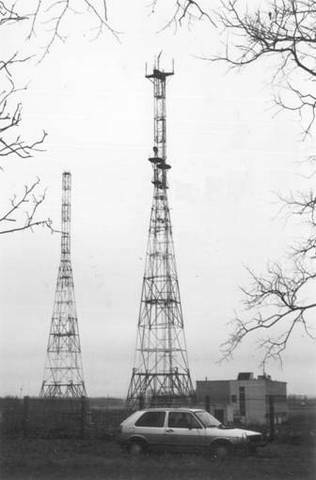 Thanks to Hans Knot and Andy Sennitt who help us put together this era, which one of the most important stages in the development of European commercial Radio. Where's the show? It's here. Enjoy. Then tell us what you think. Labels: caroline, european commercial radio, frinton-on-sea, offshore radio. Haven't seen very good TV commercials promoting radio recently. 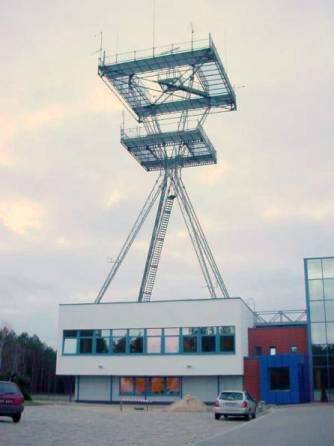 Although I thought it was amazing how a station in Lithuania reworked the famous Chuck Blore "Remarkable Mouth" syndicated commercials from the mid 1970's to fit their radio station. 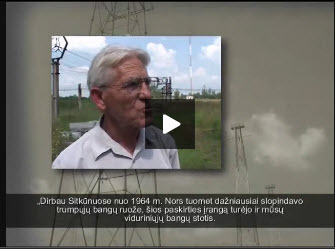 It's one thing to lipdub in your own language - but Lithuanian? These ads were apparently first made in 1975 by Blore to promote the radio side of the WTAE media properties in Pittsburgh. 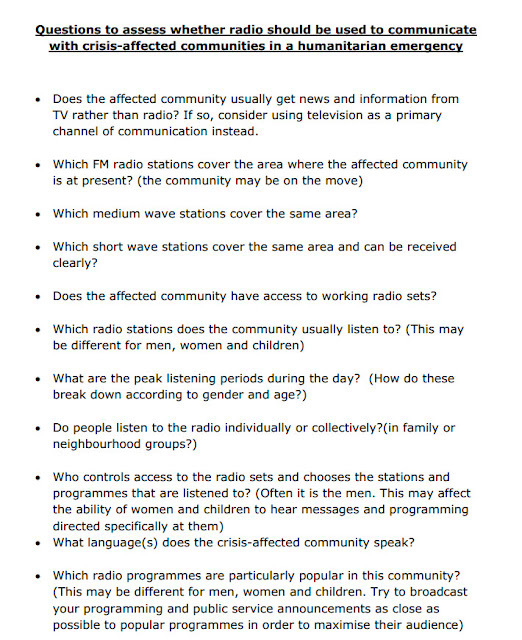 This according to the Encylopedia of Radio by Chris Sterling. The same script was revived in 2001 by Blore for similar commercials in Russia, Ireland, UK and Venezuela, apparently. The same script has been reworked for over 25 years. Does anyone know of another radio commercial with such a long lifetime? It guess that Kelly Harmon, Symba Smith, Debbie Shelton and other actresses must have practised forever to get that lipsynced so convincingly. Just try it. With the demise of Radio Netherlands in its present form, I see that Dutch domestic public broadcasters, like the Catholic KRO, are partnering with Al Jazeera English, such as in this Dutch documentary about drones. The irony is that the KRO may end up moving into the very same building in north Hilversum that most of RNW employees have now vacated. Following a thoughtful post this afternoon (in Dutch) from a Dutch High School lecturer Sander Janssens, I watched the Rabobank videos he found. It's classic case of a Dutch bank trying to be funny but ending up making themselves look like untrustworthy cowboys instead offering great interest rates because they run a tight ship. There are indeed lots of clichés about the Dutch and their love of caravans, but having seen this video reminds me more of the Icesave banking scandal than anything else. Wonder how the Rabobank could be so obtuse? I often try reversing the situation. If a German bank did the same sort of thing to attract the trust of Dutch investors, how would they react? I think they would run a mile. 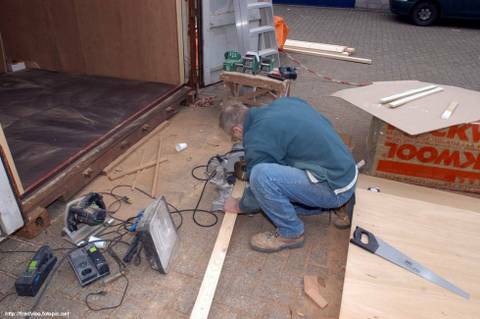 Compare that with the humour used in this caravan duel between Holland and Germany made in 2006. And may be you recall the Gunther MTV Netherlands Commercials which bust all sorts of things back in 2006. 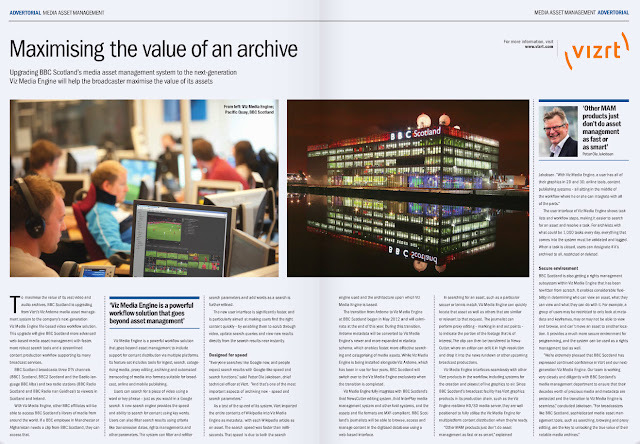 They were commissioned by a Dutch bureau JonDoe to help launch the local versions of MTV. It was shot in New Zealand I believe by Steve Ayson, through the boutique production house called The Sweet Shop. Apparently one of the actors is well-known in New Zealand - I guess a little inside joke. Yet, Rabobank in Australia has shown it can support a rugby team that strives to go international- the RaboDirect Rebels and communicate the pride in local support in Melbourne with this Australian TV commercial. All this reminds me of the ads made by HSBC in their "local bank" campaigns. The ads were good, but the local banks then came under scrutiny for any local cultural and financial mistakes. And, of course, the bank made plenty. Riding the pipe in the middle of nowhere. I like how Mike Escamilla lashes things together a makeshift tripod. GoPro are certainly changing the face of sports videos. Mike is using a GoPro Wifi BacPac system which retails in the US at 129 dollars, excluding the cost of the camera. But even the top of the range GoPro camera is only US$350. A year after Apple introduced Final Cut Pro X. I've revisited the program to see whether I should start using it more often. I couldn't get the hang of the workflow - and frankly there wasn't enough time on hand to learn. Besides, so much wasn't finished. As David Fox has now published in the August issue of TVB-Europe, there are some useful and cheap third party apps which help the migration process. My biggest complaint was that all the legacy projects in FCP 7 (there were no versions 8 and 9) could not be imported into FCP X (it's pronounced 10 not X). To get an overview of what changed, take a look at this video from the London Supermeet 2011 with Larry Jordan. David Fox's excellent article deals with what has been improved in the subsequent five updates to the program. Although there has been improvement, I continue to think that small NGO's using it for simple edits will prefer it to iMovie. Newsrooms have looked and found other solutions. My guess is that Apple still doesn't really doesn't care. This parody out really outlines to problem Apple has created for itself, if in fact its really interested in keeping the Pro in Final Cut Pro X. With ironic commentary a cleverly montaged "Steve Jobs"
It's now five years since I ran a number of workshops for the Asia-Pacific Broadcasting Union in Singapore about how media can respond immediately after a disaster. 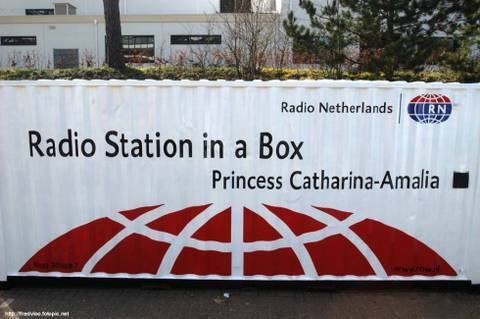 At the time, Radio Netherlands was involved in the Radio in the Box project, a scheme started in 2005 to help radio station partners recover after the Asian Tsunami. There were plenty of aid agencies helping in Indonesia immediately after the earthquake. 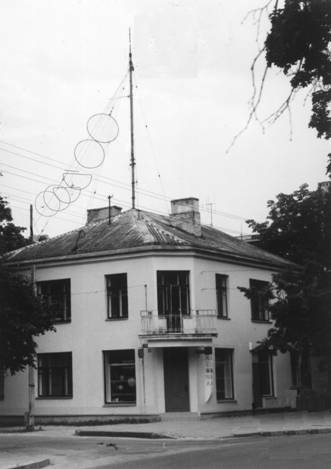 We decided to focus on the period between 6 weeks and 2 years after the disaster, when radio stations still needed to operate but their radio station had not been rebuilt. With hindsight, such obvious labelling was not a good idea. Everything was tested before departure. And it all survived the trip. In the end there were important lessons learned from the project. It was a good idea paint the containers white - keeps the heat out. But labelling it in such an obvious way as a radio station was great for publicity back home, not very clever if the station was operating in a politically tense area. I remember commenting that the stations shouldn't be shipped without proper fire extinguishers on board. 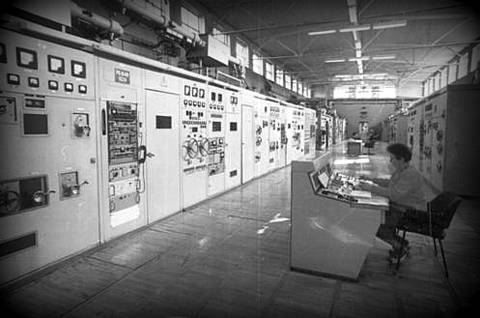 The stations fulfilled their mission at the time. If you're interested in the conclusions, then I still have the paperwork. Please get in touch via this website. Radio Netherlands has closed its Indonesian language radio section in June of this year and so these types of projects have been discontinued. I'm pleased to see that some broadcasters and other media for development agencies are taking the concepts further. 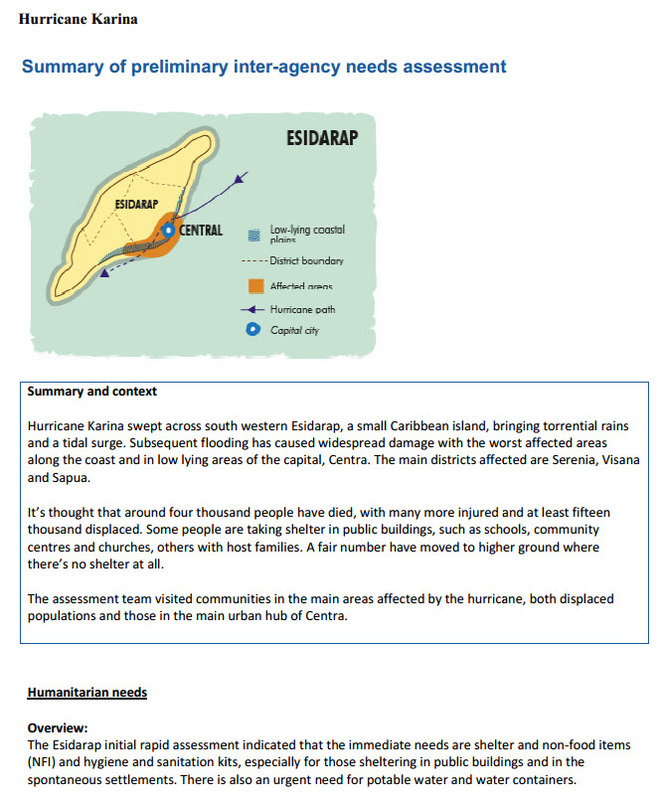 The coordinating organisation is called CDAC, Communicating with Disaster Affected Communities. They recently held a workshop in London, attended by 50 people, and hosted by the Thomson Reuters Foundation. I didn't attend myself, but I see the website has now posted a number of the sessions on its website and YouTube Channel. I was particular pleased to learn of the work of Mike Adams and the First Response Radio teams he is building in several Asian countries. Their goal is to be able to put an emergency radio station on the air within 72 hours. The equipment fits in two suitcases, there's another box containing the antenna and you need to have access to portable generator and fuel. Mike explained that the equipment costs between 15-20,000 pounds sterling. Mike introduces the idea of an 'Information Matrix' because the way teams respond really depends on the type of disaster and several other important factors. He also points out that they have spent a lot of time preparing and talking to the authorities to get licences sorted out in advance. In short, they have listened to what came out of the workshops in Asia and taken it all to the next level. There was also another event that CDAC organised earlier in the year. And at the end of the first day, I thought that Erik Hersman, co-founder of Ushahidi and founder of Afrigadget, had some very insightful comments about what's right and wrong with the media for development sector. I don't know why it only received 29 views so far. More people should see it. My son Chris pointed out that the Wavemachine labs of Chicago that I mentioned last week, also have an incredible iPhone/iPad app which is ideal for musicians and singers interested in songwriting - but lacking the ability to play all the instruments. 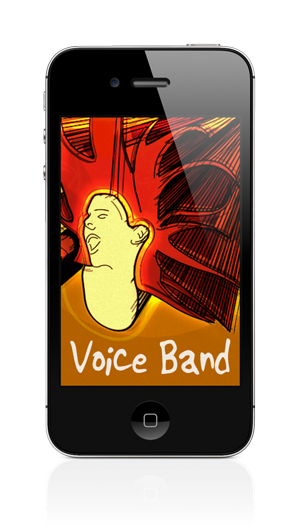 The app is called Voiceband and costs a massive US$1.99 - i.e. they are giving it away. 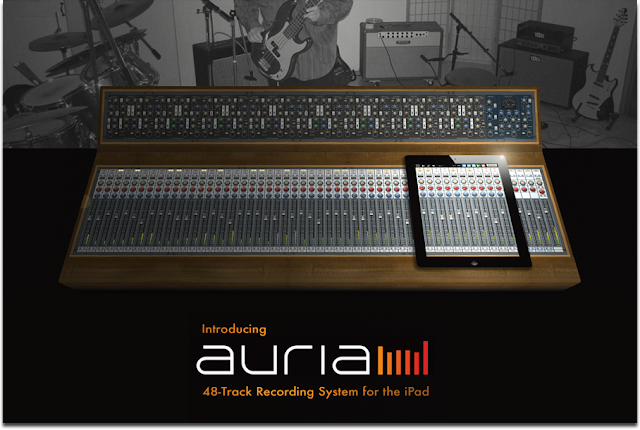 It turns your voice into a variety of instruments and then records the results on the phone or iPad. You can also sing along to songs that are already on your device. Your voice is triggering a real sampled musical instrument. Yes there are programs that have done this ages ago. But not for two bucks. Does it work? Yes, perfectly. And you can connect an external microphone if you really want to add spectacular vocals. Skip through this demonstration video once you get the hang of what they're doing. or take this other example from Linden Christ. See what I mean? 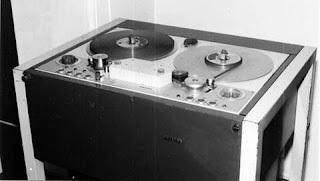 Imagine what would have happened if the bands of the 70's had access to this kind of technology. Jim Cutler referred me to a great "making of" video which shows how the band 10cc used long tape loops to get vocal effects on their song "I'm not in love". This appears to be an illustrated radio interview - but very nicely done. Is CNN turning into Foxnews? Certainly seems to be mimicking their on-screen graphics. Pity. Cause they have the equipment to be so much more original. 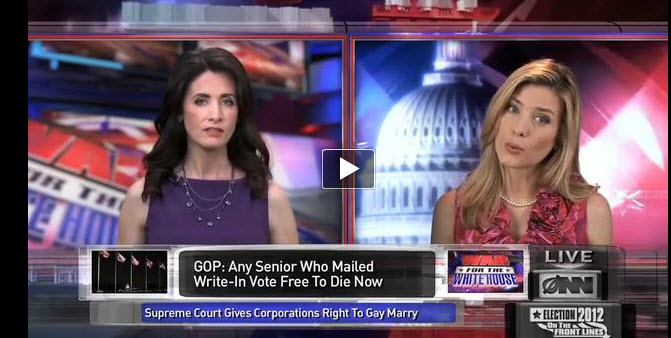 I see that the Onion News Network has followed suite. Except that the parody site looks like FoxNews on steroids. Very funny. It is so easy to criticize what's going wrong in the Media for Development sector. Lack of a clear direction is probably more of a threat than lack of money. I wish more would collaborate instead of competing. But there are some lights at the end of the tunnel. 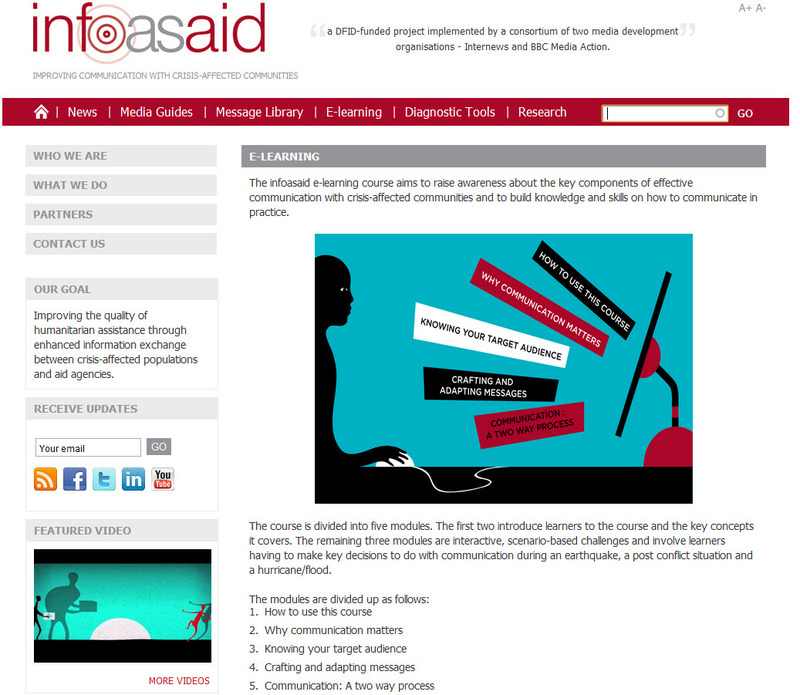 One of them in Infoasaid, a joint project between Internews and BBC Media Action (formerly known at the BBC WS Trust). There is a good introduction below by the project director Anita Shah. Infoasaid have now launched an on-line distance learning programme which helps anyone involved in crisis communications understand what is the most effective way of reaching the local population affected. Participation is free and the course is also available as a CD for low bandwidth countries. I would suggest making a downloadable version available as another option- some countries have slow bandwidth but the broadband connection is there for most of the time. It can download gradually. The course follows all the points you need to keep in mind and I'm delighted to see that they start by putting the target audience at the forefront. Once you understand their information needs, then you need to know what media they are using (is it radio or TV) and craft the message accordingly. Want to try it for yourself? Here's the link. Well done. 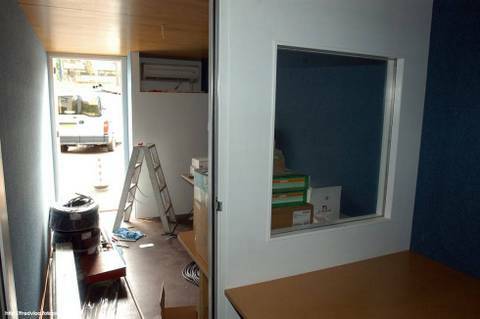 My only fear is that a lot of this good work will cease as the project ends in December 2012. It deserves to go much further. 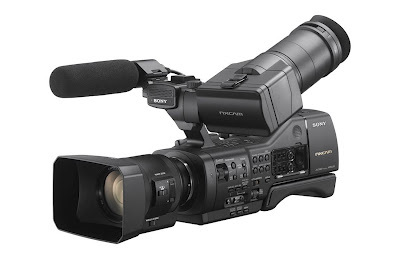 Still looking for something to replace my current video camera. I do like the form factor on the new Sony NEX-EA50. Look at the shoulder pad at the bottom which slides out for extra stability. Pricewise, we're talking about 3000 Euro when it ships sometime in October. Will also look into the cost of ownership and the expensive flash cards are always a hidden extra. I highly recommend the sneak preview post on UrbanFox, clearly the site with the best insight for those interested in shooting for broadcast clients. Thanks to David and Christine for their contributions to the community. Those with an ounce of common sense saw this happening when Facebook first announced a public offering. Has it bottomed out yet? I'm guessing it will around US$15.50 a share. But what do I know? Enough not to invest a penny. All this reminds me that Founders are rarely good people to take the company into the next phase - execution. Look at the rags to riches (and back to rags) story of the founder of General Motors. William Crapo Durant. I guess that Crapo had a more positive meaning in the early parts of the last century. 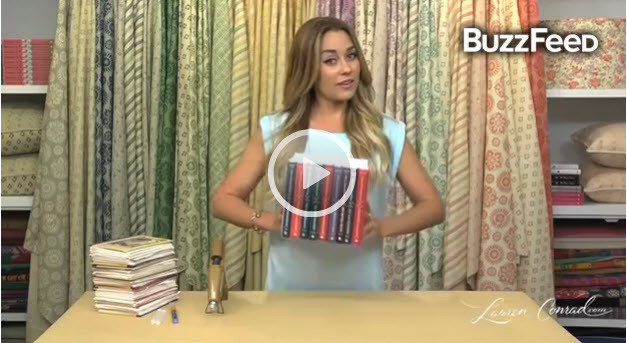 There were over 2000 unlikes and counting for a daft craft demo from Lauren Conrad before the video was taken down from YouTube. Definitely a wise move. The idea was to ruin old books to make a nice looking box. Luckily Buzzfeed captured the idiocy before it was taken off YouTube so we can bask on Fail Friday in what is complete lunacy. I'm sure they have banned her from all libraries on the planet. At least, I hope so. Imagine if they ever did that on Blue Peter. No Tracy island for you! In that connection, I hope Mark Curry's book gets funded on Unbound. Still has some ways to go before it's funded. In contrast to Lauren, Mark has a cracking good idea. I simply don't understand why trade magazines bury good content on-line. What on earth are they afraid of? I presume that the client of advertorial content would be delighted if the articles were reprinted, referred to, or otherwise distributed. The problem is that the on-line "readers" that these publications use are so archaic that navigation, even on a large screen, is clumsy at best. You can't clip interesting bits to share with colleagues. - yet that's exactly what an advertorial client is trying to achieve. Have you ever seen a book with navigation instructions? Of course not. So why would you even think of launching a reader that apparently needs them. This represents the last dying gasps of the print medium, especially in niche titles. It's unfindable and unsharable. So it will go. My colleage Jim Cutler pointed me in the direction of this tour with a difference in Toronto. It's on top of the CN tower. EdgeWalk is CN Tower’s most thrilling attraction in its 35 year history, and the first of its kind in North America. It is the world’s highest full circle hands-free walk on a 5 ft (1.5 m) wide ledge encircling the top of the Tower’s main pod, 356m/1168ft (116 storeys) above the ground. Visitors walk in groups of six, while attached to an overhead safety rail via a trolley and harness system. Trained EdgeWalk guides encourage participants to push themselves to their personal limits, allowing them to lean back over Toronto with nothing but air and breathtaking views of Lake Ontario beneath them. Designed with the highest international safety and security standards in mind, EdgeWalk runs for 1.5 hours, with the outdoor walk lasting approximately 30 minutes. Tickets cost $175 CAD and include a keepsake video, photos and certificate of achievement. EdgeWalk operates from now until October in all weather except for electrical storms and high winds. Varying weather conditions will make the EdgeWalk experience different with each visit. I note the website says that someone has booked the whole tower for a private event on September 9th. That makes me curious. Looking at how small scale technologies could be scaled up. This, for example, is a 3D printer on steriods, used to (re)construct housing. The prototypes need about 20 hours to build a house - and because the plans are all software, they don't all have to be the same. Why is this interesting? Because there are too many natural disasters where it takes much too long to reconstruct essential shelter. Gone rather quiet around the US Microdrones. Guess they must be in operation. 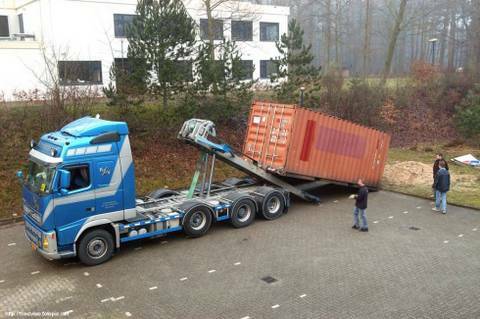 The summer in the Netherlands has certainly proved to the challenging (to use management speak. - it's crap basically). Woke up to glorious sunshine - and the thunder rolls in by lunchtime. Reminds me of autumn in Flordia. I can understand how the light inspired those painters a few centuries ago. But for now, I need to find an umbrella. So why would you want to have a 48 channel audio recorder/mixer on your iPad. Well because you're a band and want to mix down new songs while on the road. Or you're a podcaster doing roundtable discussions in difficult places. Just amazed at what the engineers at Wavemachine Labs in Chicago have worked into a US$50 app. Actually, you almost pay as much for the official Apple iPad USB connector. Luckily there are cheaper options if you look. Thanks to Alex Lindsay of MacBreak Weekly (TWIT Network) for the tip. What a brilliant discovery. Russ shows that the capabilities of the app are well beyond the kind of things I need it for. I'm looking at better ways of recording round table discussions in the field without having to carry all this sort of stuff with you. Saw colleagues from Radio France Internationale recording a roundtable discussion at the Deutsche Welle Global Media Forum. Asked them did they know how much their equipment cost? No. So I thought I'd find out. p.s. Can you imagine what Kenny Everett could have done with an iPad if he were alive to remake his magic from the 1970's. New York Times had a nice curated article today on the challenges of traffic in other capital cities in the world. Rob Whitworth's work above gets around 300 views a day even without any publicity. Because his work is brilliant. Have had similar experiences of the roundabouts in Accra which are ALWAYS busy, often gridlocked for hours. And these shots of New Delhi bring back memories. Missed the great jams in Bangkok in the collage. Definitely interesting to compare how BBC Radio 1 is planning to revamp its Breakfast Show jingles at the end of September when Nick Grimshaw takes over the slot, and the approach taken by the sister station, BBC Radio Two. In the case of BBC Radio 1, it looks like the era of sung jingles is definitely out for the time being. But that doesn't come as a surprise to me. I agree with comments on the UK Jingles website JingleMad that the challenge will be for whoever wins the bid to make the package distinctive. And they don't have much time to compose anything complicated. It looks like there's not much money put aside for station imaging. 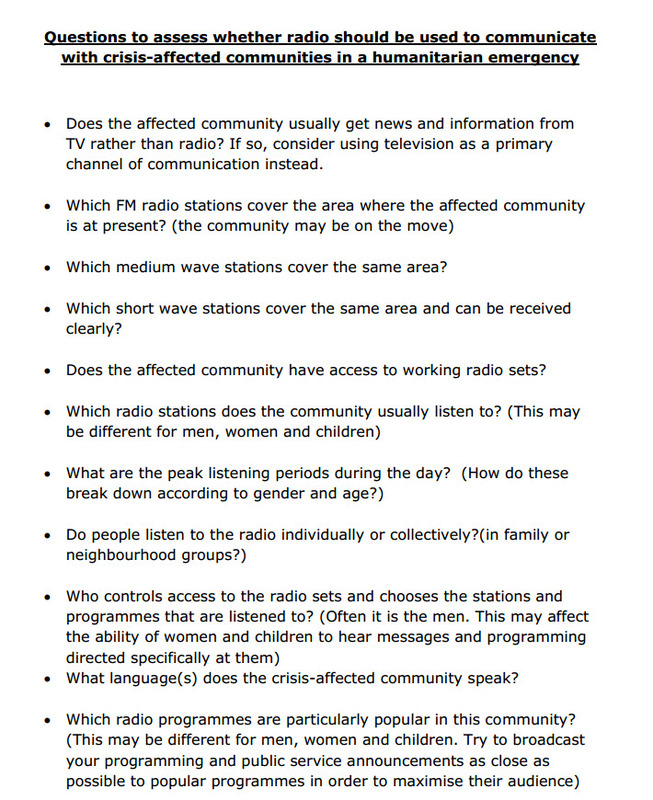 Contrast that with BBC Radio 2. 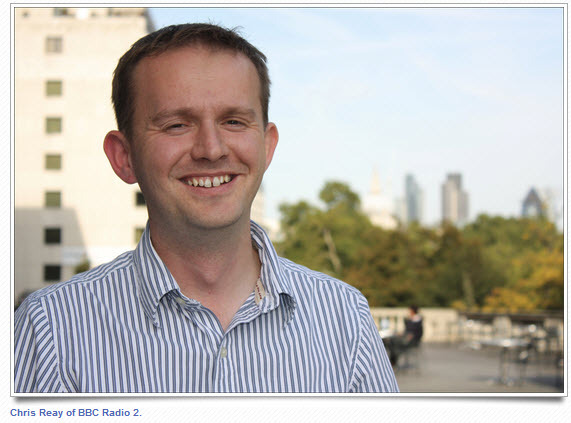 Steve Martin (of the fantastic monthly show Earshot Creative Review) did an in depth interview with Chris Reay who is in charge of BBC Radio 2's imaging and sound design. He tells the story of how they are building on an established theme but using fresh arrangements. And that includes full orchestras (while they are still around). A great listen. Highly recommended - and nice of Chris to share not only the music but the reasoning behind it. Reminds me of two radio programmes I made about creating jingles in 1983 and again ten years later 1993. 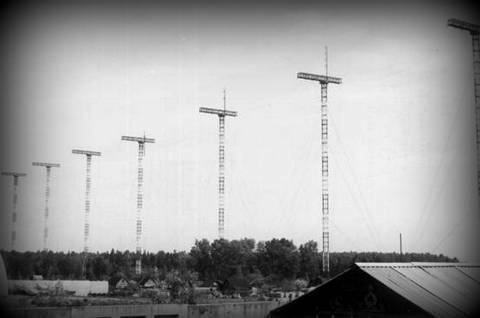 Unashamedly for enthusiasts of station imaging and jingles, we looked at how they were made then and what programmers in the early 1980's thought they were for. There were enthusiasts like Tom Konard who made vast collections of station idents and sweepers. Some are still on line - check this reference. This show was broadcast on December 29th 1983 and I remember the recording well. Technican Pim Wijmer thought it would be a simple mix and wondered why I had booked four hours of studio time. Today, you can make the same show on a laptop using free multitrack software. In those days you had to cut and splice audio tape and cue everything with yellow leader. There was more yellow leader on those montages than tape. Fun, nonetheless. Notice how Jonathan Wolfert of JAMS explains that jingles always go in phases, what's hot now is out in 5 years time and then everything old becomes new again. Sometimes stations overused them and there were periods when stations hardly used them at all. Disney understands that like no other (look at how they recycle old content to new generations in a 7 year cycle. But I digress. Finally I recall making a short video during the recording of the Europarade jingles used in the Radio Netherlands show of the same name. Recently put that back on the Interwebs, though it's rather crude by today's standards. Making Jingles in 2002 from Jonathan Marks on Vimeo. Photographer Trey Ratcliff of Stuck in Customs fame recently moved to New Zealand. He hasn't wasted a second in capturing some spectacular shots. Really inspiring stuff. Actually NASA TV and the rest of material coming from Mars at the moment is setting records like those in London. Enjoying every bit of it. Great animation. Wonder if there are cameras or sensors to double check it was really like that.